A law student from Wyoming has written and asked me a couple of questions. Before I write my answer to this young man, I thought I would ask you readers, who are much more expert than I, to suggest answers that I might include. So please submit your comments, and I will refer your replies to him as well. In a May 1, 2006 speech, President Bush said, "In the past five years, private health insurance premiums have risen 73 percent. And as a result, some businesses have been forced to drop health care coverage for their employees." I have contacted you to ask you why you think the price of healthcare has skyrocketed. I do not have the premise of faulting hospitals. I am not a writer for your local newspaper. I would just like to be become involved in politics some day, and in order to do so, you have to know the reasons for the problems from the people who are most in tune with the problems. I have talked to several hospital CEO's in Wyoming and they say that the cost of new technology is their primary burden, not medical liability suits. In a nutshell, what do you think are the primary reasons for the rising costs and what can be done to lower the costs? Also, do you think that health savings accounts, as proposed by the President, will lower the costs of healthcare? I thank you for your time and look forward to hearing from you soon. What is this phenomenon I have been experiencing all year as I bring the mysterious and magical sound of the harp to the corridors of this city of healing? How do its strings, like the fisherman’s net, capture and hold its catch for a brief moment of repose, then release to the ocean of hurried activity its weary yet refreshed traveler? Why are its invisible vibrations able to penetrate so precisely the hearts of those who resonate with its sound and create for them a space to center and smile, to breathe and awaken? It matters little whether I’m playing in a lobby to a sea of passers-by, bedside for a dying patient, or within listening range of a family anxiously hovering while a dear one receives life-sustaining chemo. The harp has captivated children mesmerized by its ethereal sound as they create a glissando of their own with sheer delight. It has distracted elderly patients waiting for rides home after seemingly endless appointments and has raised stretcher-bound patients who give a thumbs-up to acknowledge a beautiful and familiar contrast to an otherwise stressful ordeal. The harp’s muses have been nurses stepping out of the OR for a quick respite, doctors taking the time to comment on the soothing effects of the music, staff members seeking out its tranquil space to enjoy a meal, or even deliverymen who smile with surprise to see how its simple melodies can change the sterile atmosphere they are used to stepping into as they go about their busy day. “My blood pressure goes down just walking by the harp” is a familiar refrain. Artists have stopped to sketch; musicians, to join in. Chaplains and therapists, family and friends request the harp to travel to rooms and floors where patients would benefit from its song. Even entering the elevator, the harp inspires those who respond to its presence. People have left countless gifts of gratitude and always, waves and waves of “thank yous” to bathe the harp in heartfelt appreciation. What this phenomenon points to is the ability of live music - and especially music from this simple, artful instrument that vibrates richly, easily and effortlessly - to support an intention to serve a community with the highest standard of compassion and care. Through the overwhelmingly positive response the harp has elicited, it has earned its place as an important and vital partner in this hospital’s mission. The Whipple procedure is a complicated and difficult surgical procedure. 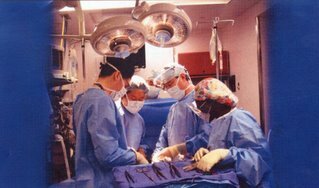 It is also called a pancreaticoduodenectomy, and it generally encompasses the removal of the gallbladder, common bile duct, part of the duodenum, and the head of the pancreas.This operation was first described by Dr. Alan O. Whipple of New York Memorial Hospital (now Memorial Sloan-Kettering). 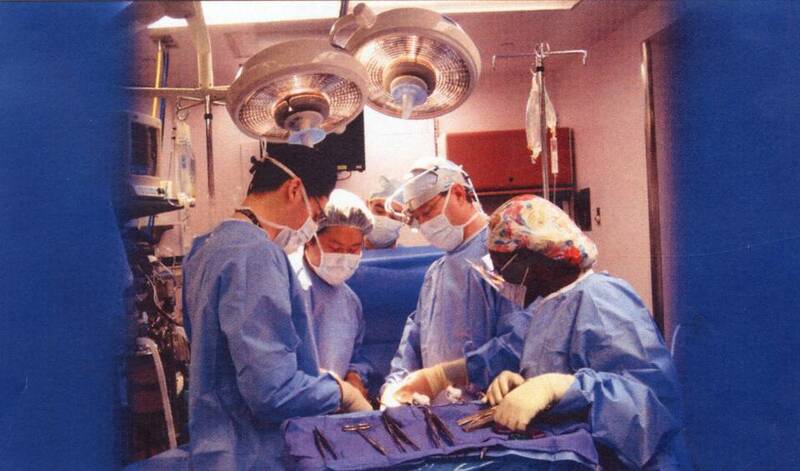 The surgeons at BIDMC have developed a "clinical pathway" to guide themselves, related physician specialists, nurses, case managers and other involved in performing Whipples and taking care of patients before, during, and after this surgery. The clinical pathway is intended to assist physicians in clinical decision making by describing a range of generally acceptable interventions and outcomes. In other fields, it might be called a "decision tree." The guidelines attempt to define practices that meet the needs of most patients under most circumstances. While the physician must remain alert to deviations from the expected, the use of the clinical pathway can bring greater predictability to the entire treatment process in many cases. The introduction of the clinical pathway for Whipple procedures at BIDMC has had very positive results. Here is a summary of the data pre- and post-clinical pathway. To put all this into English, after the introduction of the clinical pathway, nothwithstanding a greater percentage of sicker patients, cost and length of stay decreased without negatively affecting mortality, readmission, or reoperation rates. Patients and families also like the new pathway because they receive a roadmap of what to expect and when to expect it, and they can literally follow their own progress by looking at a chart on the wall of their room. I don't mean to suggest that we are the only place to have clinical pathways, but they remain less prevalent than you might think. This is but one example to show how effective they can be when well designed and implemented by the entire medical team. I include "Massachusetts Liberal" not to be exclusionary to conservatives, but because I have not yet run across an equally well written blog with conservative views. If you know of a good one, please send in a comment with its url. Most patients have experienced playing phone-tag to get test results. That’s at least partly because of the traditional paper-based method of relaying information. Test results are transcribed onto paper, then given to the doctor, who then phones or snail-mails them to patients. At Boston’s Beth Israel Deaconess Medical Center, patients can get test results electronically the same time as the doctor through a private online account called PatientSite. “There is no waiting for paper printouts to arrive by mail,” said Dr. John Halamka. All test results show up on the site, except those involving diagnosing cancer or HIV, “assuming that this news should be delivered in person,” he said. PatientSite has been up and running for many years, well ahead of most of the industry. Patients like the fact that they can use it for a variety of routine functions -- from requesting prescription renewals, to making appointments and getting referrals, to viewing their own electronic medical records, including medications, allergies and test results, radiology reports and electrocardiograms. Doctors like it, too, because it frees them up to spend person-to-person time with patients on more important matters. The long-term success of PatientSite also means that it can be used to study other new ways to improve care. Here is an example funded by the Robert Wood Johnson Foundation. A lame-duck Romney is showing a willingness to exploit society's most vulnerable in order to look fiscally tough to a national audience. But the future belongs to Governor-elect Deval Patrick and the Legislature. What will it be? As always, Joan is a voice of conscience and political reality. Equally important, people on Beacon Hill read what she says, and she can often have an impact on the course of events. Let's hope so in this case in particular. For those who did not read the piece to which she refers, here is the beginning of the op-ed co-authored by Dr. Jim Mandell, CEO of Children's Hospital, and me back in December 2005. In 2005, the defending world champion Boston Red Sox squeezed a record 2,847,888 faithful through the turnstiles of its "lyric little bandbox of a ballpark." An average of 35,159 fans cheered their hometown heroes for each of 81 regular-season games. In contrast, just down Brookline Avenue from Fenway Park, each year more than 14 million (more than 60,000 on any given day) patients and visitors, physicians and nurses, students and professors, medical researchers, administrators and others cram into the one-half mile radius of another jewel of Boston the Longwood Medical Area. Comprising 21 medical, academic, cultural, and religious organizations including Harvard Medical School and many of its affiliated teaching hospitals, as well as six colleges the area is one of the richest centers of health care, research, and education in the world and a major engine of economic growth in Massachusetts. A note to our director of Emergency Services. No further comment necessary from me! Greetings from the Emergency Department Staff at Huntsville Hospital in Huntsville, Alabama! The school bus accident involving several High School students made National news. Our Emergency Department treated most of the victims. 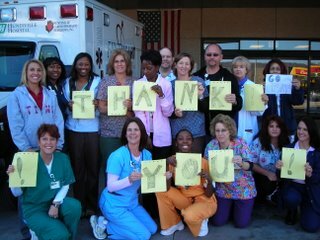 Your ED nursing staff heard about the accident and performed the most honorable gesture; they treated our nursing staff to lunch. Today, Nov. 21, 2006, around noon, we received several pizzas with a note attached from the ED Nursing staff at Beth Israel Deaconess Hospital saying we are with you keep up the good work! It was an honor to receive this token of recognition. The President of the United States can bestow a token of appreciation upon an individual for a job well-done, but when colleagues bestow a gesture of recognition the meaning is far more substantial. We would like to say thank you, and, your staff made our day. Attached is a picture of a few staff members who were on duty and treated the victims. I hope you receive it. The person holding the "N" is from Boston. This really touched her. In 1940, the Albert Schweitzer Fellowship was founded in the United States to support Dr. Schweitzer’s medical work in Africa during World War II. Since Dr. Schweitzer's death in 1965, the Fellowship has continued to provide direct assistance to the Schweitzer Hospital in Lambaréné and, and more recently, to underserved communities within the United States. In 1978, the Fellowship began sending senior medical students from the United States to work at the Schweitzer Hospital in Lambaréné. Fellows work together with an international staff of Gabonese and expatriate professionals, providing skilled care through over 35,000 outpatient visits and more than 6,000 hospitalizations annually for patients from all parts of Gabon. In 1991, the Fellowship launched its U.S. Schweitzer Fellows Programs, through which students in health professions and related fields carry out direct service projects in underserved communities in the United States. To date, more than 1,000 Fellows have contributed over 200,000 hours of service at hundreds of domestic community agencies. Today, the mission of The Albert Schweitzer Fellowship is to reduce disparities in health and healthcare by developing “leaders in service” - individuals who are dedicated and skilled in helping underserved communities, and whose example influences and inspires others. Please join us in supporting this wonderful program. Here is an easy link to tell you how. 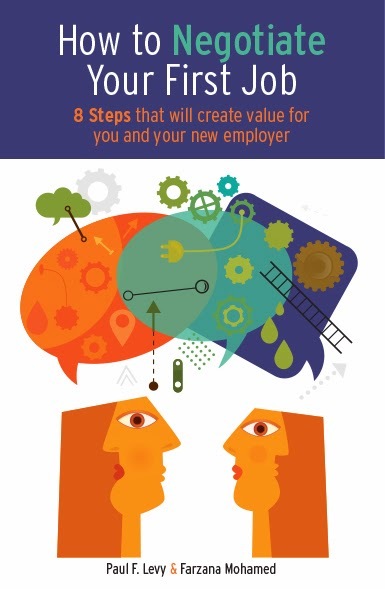 "Your argument that your meetings are evened out by home visits is likewise unconvincing. In case you haven't noticed, the door-to-door salesman is extinct. Why? Because Americans dislike having somebody knock on their door to talk to us about just about anything. Nor do we like getting calls at home. (Did you notice how popular the "do not call" registry is?)" Today, we received a report that two of our nurses (at least) had SEIU representatives come to their doors this weekend. The representatives had long lists of addresses for our employees. Oh, and as I noted on August 25, previously they had conducted a telephone survey. By the way, we had heard rumors that the SEIU and the Mass Nurses Association had reached an agreement that the SEIU would not engage in organizing nurses. I guess that rumor was incorrect. "Department of Mental Health Commissioner Beth Childs has just informed MHA that, effective Wednesday, November 22, 2006, DMH will no longer accept inpatient admissions to any state DMH hospital or unit. In addition, DMH will restrict access to its residential programs. The Commissioner indicated that this action is being taken due to Governor Romney's recent 9C cuts to the DMH budget. This action will have a far-reaching negative impact across the entire health care system." This is deeply troubling. Please understand that the state's funding for mental health programs was in no way overly generous before these cuts. We and others had already seen an overflow of violently disturbed patients from state facilities into our own hospitals, patients who were putting themselves, other patients, and caregivers in physical danger. In the posting below, I termed the Governor's words on another topic to be "nasty." As I read the items in italics below, I realize that my focus on his speeches was misplaced and distracting from something far more important. Here, we are not discussing rhetoric: We are facing executed deeds. It makes me incredibly sad to be in a state where these actions would be taken. Read the items below and tell me if you agree. Elimination of 17 DMH staff positions, effective January 28th. Identified personnel positions include Central Office and Area program managers, licensors, housing coordinators, quality assurance staff, and managers who oversee services. As a result of significant staff reductions in previous fiscal years, these staff reductions will severely impact DMH’s ability to manage and operate ongoing client care functions. Elimination of 40 DMH positions comprising 37% of the DMH employees who provide direct care to children and adolescents in the community. 880 seriously emotionally disturbed children, adolescents, and their families will no longer receive case management services. Children/adolescents who are clinically screened for DMH continuing care inpatient/community services will wait longer in acute psychiatric settings, and there will be an increase in out of home placements. The affected employees are the linchpins of the child-adolescent system. They play a critical role in assuring that services from multiple providers are coordinated such that the child/adolescent’s mental health needs and all related issues, such as substance abuse, medical problems and educational problems are addressed. Reduction in case management revenue in Fiscal Year 2007 of $600,000. 150 individuals with early signs of major mental illness who received treatment currently supported in research protocols will be terminated from the treatment protocols; elimination of training in crisis management; 90 families will lose supports and interventions for dealing with parental mental illness; and service system evaluations capacity will be eliminated. Termination of 96 individuals from residential supported housing services providing essential in home supervision and supports. These supports include medication management, maintaining activities of daily living, maintenance of employment and housing. The residential services and supports currently enable these adults to effectively manage their symptoms and enhance their functioning, so they can live independently. Without residential supports many clients run a substantial risk of becoming homeless. This cut will lead to a shift toward more expensive interventions such as emergency rooms, acute inpatient care and homeless shelters. This reduction will result in a loss of rehab option revenue in Fiscal Year 2007 of $390,000. The reduction in the three accounts listed above amounts to $1,417,337 in reduced funding. This will result in 243 individuals being terminated immediately from residential supported housing services. These individuals will lose essential in home supervision and supports. These supports include medication management, maintaining activities of daily living, maintenance of employment and housing. The residential services and supports currently enable these adults to effectively manage their symptoms and enhance their functioning, so they can live independently. Without residential supports many clients run a substantial risk of becoming homeless. This cut will lead to a shift toward more expensive interventions such as emergency rooms, acute inpatient care and homeless shelters. Reduction in DMH inpatient staffing in two critical areas: 57 direct care staff (nurses, and mental health workers) will be eliminated at the DMH operated continuing care inpatient facilities; and a reduction of 16 psychiatrists funded through Comprehensive Psychiatric Services contracts. Direct Care and Psychiatrist staffing cuts at this level would jeopardize DMH’s JCAHO Certification and our ability to meet the Medicare/Medicaid Conditions of Participation. A cut of 16 psychiatrists will result in the lack of required attending physician capacity for 267 beds. DMH will therefore be forced to freeze all civil admissions to DMH inpatient facilities while it attempts to reduce its inpatient census. The simultaneous reduction in community services required by these 9C cuts grossly impairs DMH’s ability to discharge individuals safely. Derrick Jackson's column in today's Boston Globe, entitled "The antigay obsession", prompts me to write on a related topic. I have not used this page to comment on current political and social issues, preferring to focus on hospital topics, but I think this is important. And it does relate to medicine and the BIDMC, too. Beth Israel Hospital was established in 1916 because of discrimination against Jewish doctors and Jewish patients. Open access was therefore a deeply held belief at that hospital, and it is a belief that persists with the new BIDMC. We welcome all ethnic, racial, religious, and cultural groups, and we do our best to treat everyone the same, i.e, as though they were members of our own family. This includes people of all sexual orientations: heterosexual, homosexual, bisexual, and transgender. This is not only a matter of social justice. It is a matter of life and death. To discriminate on any basis whatsoever is to say that some people are entitled to better care than others. We just do not accept this. Mr. Jackson's article cites people from religious organizations who say negative things about gay people and about gay marriage. I understand that homosexuality makes some people uncomfortable, and I also understand that gay marriage makes some people uncomfortable. What I don't understand is why they can't ease off and just leave people alone to live their lives. Unfortunately, our own Governor Romney is in this camp. Fortunately, his term ends soon, and we will be rid of his distressing and nasty speeches on this issue in Massachusetts. Unfortunately, he feels that taking this position will help him in a run for national office, and so now he will express it in a bigger forum. I hope that the vast majority of people in the country agree with Derrick's column and with the people he quotes from South Africa, a country that truly understands discrimination: "This country cannot afford to be a prison of timeworn prejudices which have no basis in modern society." In a posting below, I mentioned a story about bad service at our hospital. But, sometimes I hear stories about our folks that make me really proud to work here. So, here are three. I know I am just bragging -- so if you don't want to feel like you are reading a press release, skip this one! But, if you just want to feel good, read on. My mother has been a patient in your gerontology department for the past year or so. I am completely blown away by the marvelous, compassionate care taking place there. Dr. B, one of the gerontology fellows, has been simply amazing, going over and above the call of duty. Even though she was working at the Brigham today, she stopped in to see my mother at her appointment--which was followed by hospitalization. Then Dr. M, who saw my mother today, pushed the wheelchair herself from her office to the ER. You should be so proud to have such dedicated professionals working for you. I just wanted to thank the Blood Bank personnel for their admirable work on behalf of [x]. If there is some way for you to share this message with them, I would appreciate it. It occurred to me afterwards that in the melee of such a bad operative trauma episode [patient crushed by heavy machinery], we lose track of the fact that there are dedicated folks buried deep in the hospital who feverishly are working with us to provide life-saving blood products, without which this patient certainly would have died. I thought that I would write you a note to tell you about my experience as a new breast cancer patient. From the moment that my doctor found the lump, I have been on a journey, one that is scary and emotional. Starting with the biopsy today I have had to see numerous doctors and have been taken care of by a group of compassionate, caring, professional nurses. Dr. K was the first doctor that I saw. He talked to me for an hour listening to my concerns and answered all my questions. The surgery went very well, due in part to his outstanding skills, I am sure. Then I was off to Dr. R and Dr. L with my husband in tow. He wanted to get another opinion at Dana Farber, but after speaking to them, he didn't feel that it was necesary. They also spent a great deal of time with me going over my diagnosis and treatment opitions. I am very lucky. I will need radiation for six weeks starting on the 29th of November and will need to take a Taxmofin like pill, then off to the rest of my life and great grandchildren. It is important for me to let you know that your work for the BIDMC is paying off. If I have to go through the breast cancer then I know that I am at the right place. Steve Bailey, a Boston Globe columnist, offers an interesting column in today's paper about the market power and the behavior of the largest hospital and physician group in the state, Partners HealthCare System. The head of that group makes a cogent and thoughtful comment (as he often does) about the ambiguity in today's society about its desire for greater cooperation among health care providers and its wish for a competitive marketplace. With respect, though, the comment misses the point that Partners could be more cooperative, still maintain its dominance, continue to be financially healthy, and could also enhance the efficiency of the overall system. Instead, it rationalizes aggressive stances in the marketplace with a supposed need to ensure quality. What I have learned in my short time in this field, though, is that no single hospital or system has a monopoly on good ideas to enhance quality and efficiency. When one group puts up barriers to cooperation, everyone loses an opportunity to improve. As a student of other industries, I also humbly suggest that protectionist behavior by a dominant provider also removes a key stimulus -- within its own system -- to encourage behavior that enhances quality and innovation and customer service. Remember Ernestine, Lily Tomlin's telephone operator? I want to share a less than optimal experience, just so you know. I have an appointment Thursday at Dermatology. I've been well reminded: a paper letter with map, two email reminders, and (tonight) a voicemail on the home phone. This is all fine. Clearly taking responsibility for making sure the patient doesn't forget, and doing it all automated, cost-effective. However, I want to *change* the appointment, and that's not going so well. Over the weekend I tried using PatientSite. No option to change apptmt. "The cancellation voice mailbox is full. Please call back during normal business hours." No catastrophe - I'll deal with it, obviously - but not a particularly good customer experience. So . . . we will keep trying to improve! We do learn from these comments, and we make changes in how we do things. For those of you out there who experience this or any kind of problem, please do not hesitate to write me. I happened to listen on the radio last night to Congressman Barney Frank's speech last week to the Great Boston Chamber of Commerce. If I heard correctly, one of his points was that the new Congress should make it easier for unions to organize service employees, unlike industrial workers, because creating more unions in service establishments would not result in any competitive disadvantage to the US because those businesses can not move to other countries. Do any of you out there have a reaction to this? Those of you living in eastern Massachusetts may have seen a recent television ad from Blue Cross Blue Shield of MA about a young woman named Isabel and her discovery of and treatment for breast cancer. The whole story is on the BCBS website and is really worth viewing. Can I confess something? When I first saw the ad, I was a bit annoyed that BCBS was taking credit for this person's treatment, when in fact it was carried out by doctors and nurses at a hospital in the Boston area. (No, I don't know which one.) After all, what right does an insurance company have in owning this story? But watching the full video convinced me otherwise. BCBS really did make a difference in Isabel's experience by providing an additional level of comfort and support beyond what was given by her caregivers and her family. That is terrific, and the people in the company deserve credit for reaching beyond the traditional role of an insurance company and displaying that extra degree of humanity. And Isabel, too, deserves a lot of credit for telling her story. I am sure it will be an inspiration to thousands of people. Bien hecho, Isabel! That's the average annual investment per American in cancer research, in federal funding through the National Institutes of Health. The total federal investment per American in cancer research over the last 30 years is about $260. What has this produced? Thirty years ago, when people were afraid to even mention "the Big C", we were only able to detect large, advanced tumors. There was virtually no early detection. Survival times were short. Only one child in 10 survived cancer. Treatment was highly uncertain and painful and required long hospital stays. Today, for the first time, annual cancer deaths in the United States have fallen. 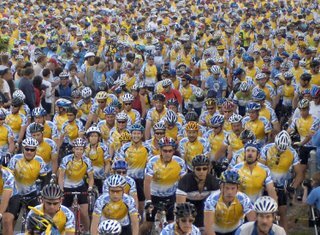 There are ten million cancer survivors. Early detection and screening are more effective. New targeted, minimally invasive treatments have multiplied. New discoveries make it possible for the first time to "personalize" cancer treatment. These facts and figures were contained in a recent presentation by Dr. Elias Zerhouni, Director of the NIH. I don't know about you, but I think that is a pretty great return on investment! As you can imagine, I am expected to attend fundraisers for many worthwhile causes. One of my favorites, from which I am just returning, is an annual breakfast in support of Health Law Advocates. HLA provides legal assistance to people who are having trouble gaining access or services in the health care system. I urge you to check out their website to learn more about the organization and see if you want to get involved. In addition to the worthiness of the cause, the HLA breakfast is always a pleasure because of the quality of program (great speakers, music, humor) . . . and because it always ends on time! The gubernatorial election will be over tomorrow, so look for an increase in organizing activities here in Boston. The SEIU was an active participant in the elections, supporting some candidates with money, time, and effort. On the issue we have covered in a posting below, both Deval Patrick and Kerry Healy are on record in favor of elections and said they would not support efforts to substitute a "card check" form of union certification. So, it is unlikely that this tactic will be pursued. But watch closely, and let's see if the union changes the debate slightly. Perhaps now it will be in favor of elections, but not the form of election carried out under the auspices of the National Labor Relations Board. Here is an example of arguments being used in an organizing campaign in Chicago. Look for the union, too, to cite papers and articles from selected academic think tanks, which may point to successful management-labor partnerships at other hospitals. Of course, that is not the issue, is it? There are both successful and unsuccessful management-labor partnerships in both union and non-union environments. The issue here is the process by which workers get to choose whether they want a union or not. Finally, if all else fails, look for aggressive tactics to discredit the management and the boards of hospitals who don't give in. All of sudden, the hospitals you have trusted to provide high quality care to all people will be pictured as having low standards, not caring about poor people or minorities, abusive of their workers, wasting federal research dollars, or worse. Trustees -- those generous unpaid volunteer lay leaders -- will find themselves publicly characterized as unworthy of supervising non-profit hospitals. I can understand why a union might want to change the rules of the game to improve its odds of success. Will hospitals in the state accede to this, in response to pressure from the union and several of their friends in elected positions? A few weeks ago (on October 18), I published the recipe for the world famous Beth Israel cookies. I received a number of oral comments and emails from people in the Boston area about this. Here is an exchange with one of our doctors, which tells you a lot about the culture of our hospital: (1) Everyone feels comfortable writing me with suggestions and comments; and (2) I take every suggestion seriously; (3) members of the administrative staff are undefensive and honest about steps being taken to improve the place; (4) running a hospital food service is like running a restaurant, with thousands of customers with a variety of taste and preferences; and (5) even doctors and nurses sometimes need a little treat to do the right thing, i.e, get their flu shot! I was reading your blog last week with the old recipe for the much missed and wonderful BI cookies. Today, I got my flu shot and a reward voucher for a cafeteria cookie, which I decided not to get because I try to avoid trans fats and suspect that the current hospital cookies (and other foods) are made with partially hydrogenated fats. Is my concern correct? If so, as a health institution should we be asking our cafeteria to avoid using partially hydrogenated fats in the foods they prepare and sell? Your message concerning trans-fat foods was forwarded to me; the food service is one of the departments I oversee. We share your concern and we are taking steps to address it. First of all, the cookie you were offered for getting your flu shot is a trans-fat free product. We are converting to trans-fat fee items whenever possible, but some of our very popular items are not currently offered as such. For example, the jumbo cookies we sell in the cafeteria are not trans-fat free; as soon as they become available we will make the conversion. Earlier this year we began using trans-fat free fryer oil in both our patient and cafeteria programs. We are now offering more trans-fat free cakes, pies and crackers. Our goal, like many food service establishments is to become totally trans-fat free, it will just take a little time. We will continue to look for and offer healthy options to our cafeteria customers. Now that all of you have teached me how to use this blog, I decided to try another one in a different arena. I was recently asked by the mayor of my city to chair a citizen's commission on municipal budget and finance issues. I suggested to my fellow volunteers that it might be useful to the commission members and the public to have a blog in which people could exchange views and stay up to date on the activities of the commission. They agreed and have already used the blog for a healthy exchange of views on several issues. So far, we have not heard much from the public, but I am confident that will pick up steam. So, if you are interested, take a look and see if this kind of site might be useful to you in similar activities. You learn you have prostate cancer, and you have been told that you need to have a radical prostatectomy to remove the diseased gland. You have a choice of an "open" procedure or a laparoscopic procedure. (By the way, we offer both at BIDMC.) How do you choose? What are the pro's and con's? I attended a recent seminar of this topic -- yes, you get to do this kind of thing when you run a hospital -- and I was surpised to learn from our Chief of Urology that the case is not at all clear cut. I had thought that the laparoscopic procedure would be a clear winner on many counts, but there are arguments to be made on both sides. I am giving my layperson's interpetation of what I learned, so please don't rely on this. Check with your doctor or the literature for a more accurate reading on the matter. Medicine being an inexact science, there are bound to be lots of opinions. Since men only are reading this posting -- hold on, maybe some women readers joined us and are interested in this question, too -- I know that your first question will be about potency rates after the surgery. The answer: Similar results. OK, what about effectiveness in removing the cancerous tissues? Similar results. What about returning to regular life activities? With open surgery, doesn't the open incision mean a longer recovery time? No, postoperative pain is comparable in the two cases, and men can return to activities just as quickly despite an incision. And so on, and so on. Are you surprised like I was? "A couple of years ago, we published a wonderful book on the subject by Monique Doyle Spencer, which is designed to help people who have the disease understand and cope with many aspects of the treatment process. We published the book because it is funny, and commercial publishers felt that it was inappropriate to have a humorous book dealing with cancer. We thought it deserved public exposure. It is called, 'The Courage Muscle, a chicken's guide to living with breast cancer.' After my mother-in-law read it, she said, 'I wish I had had this book to read during my treatment.' Many others have said the same thing, and the book's reputation has spread by word of mouth and occasional newspaper columns and Monique's interviews on television and radio. You can buy it from Amazon, but if you buy it from the hospital instead, the proceeds go to support Windows of Hope, our non-profit oncology shop that sells wigs, scarves, and other supplies for cancer patients. Just send a check for $16.95 to Windows of Hope, 330 Brookline Avenue, Boston, MA 02115, and we will mail you a copy. Or call 617-667-1899." We have a very good email system that intercepts a lot of the spam being sent out, but sometimes things slip through. As you can imagine, companies are trying to sell us all kinds of this. This morning, one arrived that I never could have imagined. Congratulations Paul on being recognized by The Chronicle of Philanthropy as one of The Philanthropy 400! We prepared an online preview of your handcrafted special edition plaque for your review. Click here to personalize, customize and preview your plaque. Only 3 business days left to SAVE $30 on your order (order by Nov 6th, 2006). * PERSONALIZE the wording, font size or style. * CUSTOMIZE your favorite wood finish and choose gold or silver for the wood trim. * PREVIEW the plaque exactly as it will be delivered. Please do not hesitate to call or email me with any questions. I would be happy to walk you through the simple steps of customizing your plaque. America is a great country, full of entrepreneurial ideas. I guess your company figures there are people out there who would actually buy a plaque to commemorate the fact that their hospital raised a lot of money. Personally, I am extremely grateful to generous people in our community for their contributions to our clinical programs, our teaching, and our research. We could not survive and thrive without their help. But I am hard-pressed to figure out why anyone would buy this and where one would hang such a plaque. I guess some CEOs find comfort or excitement in this kind of self-congratulatory pat-on-the-back that could be placed in their offices; but if I had the spare cash to buy your plaque, I would instead donate it to the hospital. And, by the way, did you notice that the sales pitch has the wrong name of our hospital . . . 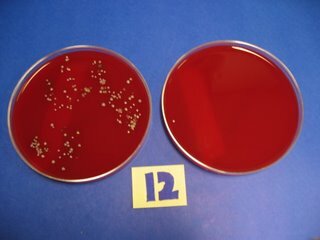 The disk on the left shows bacteria colonies that grew from my hand before it was washed with a disinfectant. 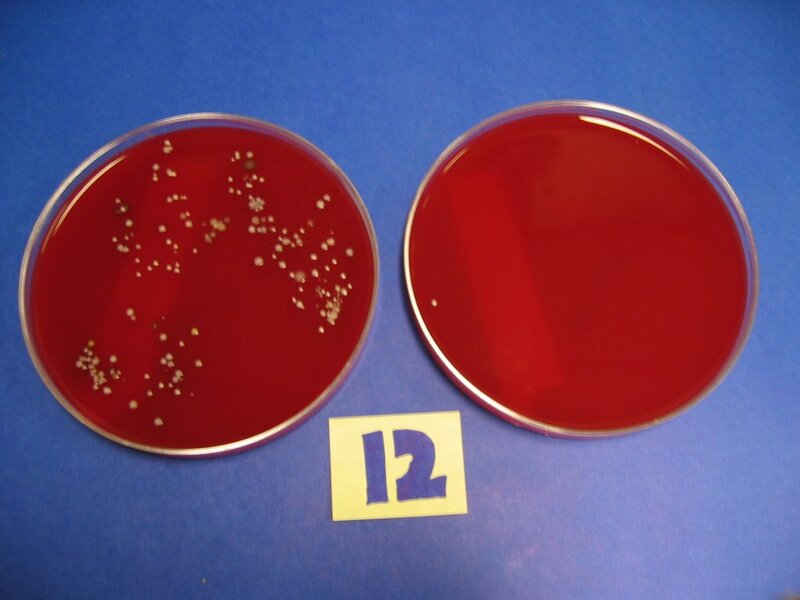 The disk on the right shows the number of colonies that grew from my hand after it was cleaned with the waterless, alcohol-based antiseptic that is in dispensers outside every patient room in our hospital. It has been well documented that many infections in hospitals occur because of bacteria transferred from one patient to another when nurses or doctors do not wash their hands between seeing patients. The New England Journal of Medicine published an article on this topic in July, 2006, entitled "System Failure Versus Personal Accountability -- The Case for Clean Hands," by Doctor Donald Goldmann at the Institute for Healthcare Improvement. His conclusion: "Each caregiver has the duty to perform hand hygiene -- pefectly and every time." "Yet, compliance with hand hygiene remains poor in most institutions -- often in the range of 40 to 50 percent." It is inconceivable to those of us who are not doctors or nurses that caregivers would not follow simple standards for hand hygiene. We wonder why it does not occur. The article provides good background information on this topic. Appropriate patient care requires that immediately prior to and following each patient encounter anyone having contact with the patient will cleanse the hands thoroughly, using either hand washing or the alcohol-based hand cleansers that are available everywhere in our environment. Anything less than perfect compliance with this standard (except in the case of a patient emergency requiring immediate intervention) represents substandard care which we will not tolerate. To make this more clear: Everyone (including students, trainees, and faculty who may not expect to touch the patient when they approach) who enters a patient room or an exam room must clean their hands immediately before and immediately after the encounter. In addition, we are all responsible for ensuring that everyone on the healthcare team -- from attending physicians to environmental services personnel --practices scrupulous hand hygiene. Our task is to lead by example through good practice, to notify other healthcare workers if they forget to perform hand hygiene, and to respond respectfully when others do the same. Please help us to ensure the finest care for our patients by adhering to and insisting upon proper hand hygiene. Again, we lay people might wonder why it is necessary to provide such advice and reminders to people who have been trained in medical school; but since it is apparently necessary, my colleagues at BIDMC and other hospitals will continue to do so.